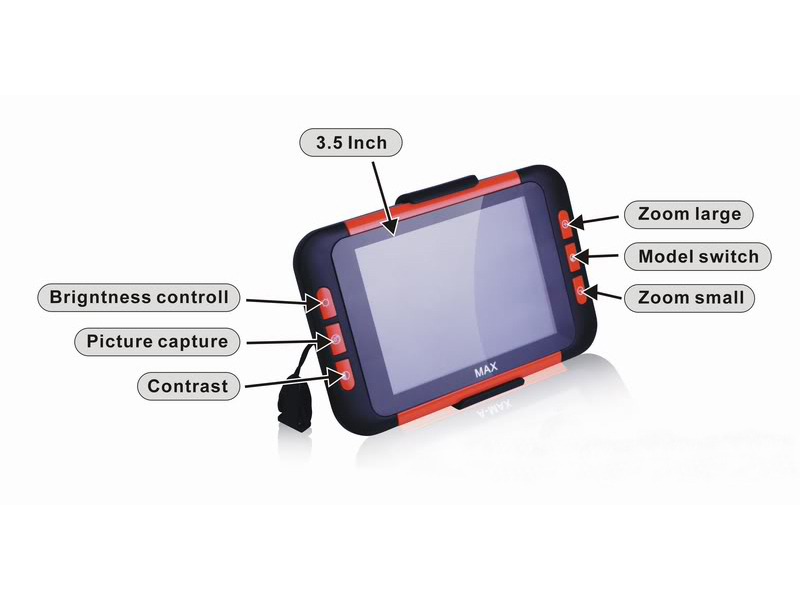 3.5 Inch Color Portable Video Magnifier - 3.5 Hrs. of Battery Use! The Portable hand held Electronic Magnifier is a magnification device designed to fit in the palm of your hand. This new design Magnifier has a 3.5 inch LCD screen for viewing, it has a 3 hour rechargeable battery and the most important feature is the unit magnifies your vision area from 2-15 times. It is very suitable for reading books, magazines, price tags, newspaper articles, menus, bills or anything with small print. Purchase the affordable, versatile video magnifier today! • 2x to 32x magnification. • 3.5-inch full color TFT screen.